When it comes to eczema a lot of people are afraid to be near someone that has it because they believe being close to someone that has eczema will make them more vulnerable to getting it. These are people who look at eczema the same as they look at someone who has chickenpox. Well, this is not the case. The reality is that eczema is not contagious at all and no matter how close or how much contact you have with someone who has it you will not need to worry about getting it yourself. Is there a circumstance where the condition can be contagious? Understand that eczema is like a lot of other skin conditions. Problems don’t come up until the condition gets worse. This happens when the conditions get infected with bacteria and viruses. If this happens, then there is a risk that someone can catch the infection, but not the actual condition itself. People who have eczema that’s infected with bacteria or viruses get treatment and stay away from having close contact with people until a doctor says it’s safe to do so. What’s the most common infection for eczema that someone can get? There are a lot of different bacterias that can cause infection for eczema, but the most common would be Staphylococcus Aureus. Even though this might be the most common it doesn’t mean you will get it from someone. The actual chance of you catching this particular bacterium from another person who is infected with eczema is very small. But it would still be a good idea if you knew a person was infected with this, to stay a safe distance away from them which might not always be easy. Who has a greater chance of catching the bacteria mentioned above? Certain people are immunosuppressed, have eczema or have frequent contact with someone that has Staphylococcus Aureus infected eczema. These are the people who are going to have a much higher chance of catching the bacterium. If you are a person that has eczema and you’re worried about getting Staphylococcus Aureus, you shouldn’t be too concerned. The reason why is because secondary infections are not that hard to treat at all. They are quite easy to deal with. There is only one exception to this, and that’s when the Herpes virus or Molluscum contagiosum infects the condition. 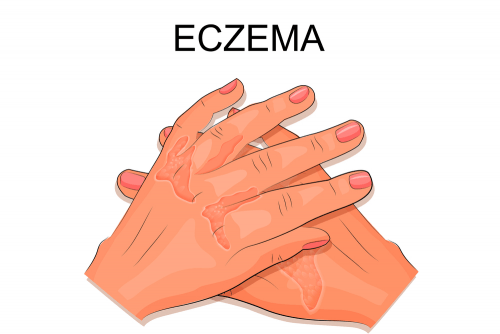 What can you do to protect yourself from secondary infections from those with eczema? This is the tricky part because there is usually not many ways for you to know if someone with eczema has a secondary infection. In many cases, secondary infection is not going to show all that much or it won’t look any worse than what the normal eczema infection already does. For you to protect yourself, you need to know if someone has a secondary infection and the best way to do this is just ask, particularly someone you know you are going to have frequent contact with. Someone you will have frequent contact with should not be offended by you asking them such a question. And if they are on top of things they would get help and stay away from other people for a while until the secondary infection went away. Once again, it’s possible that you can catch an infection from someone that has eczema, but the actual condition itself is not contagious. And most people who have eczema don’t end up getting a secondary infection. Those who do usually recognize something is wrong and get treatment right away as not to pose harm to others. 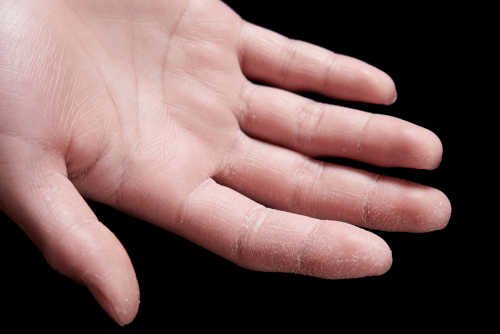 What do we actually mean by eczema? What do you mean by eczema? Copyright © 2013 - Eczema Free Skin. All rights reserved.